Part 1 and part 2 of this build can be found in links. The size of the enclosure, and the whole system, was completely dictated by the size of the screen I decided to use. 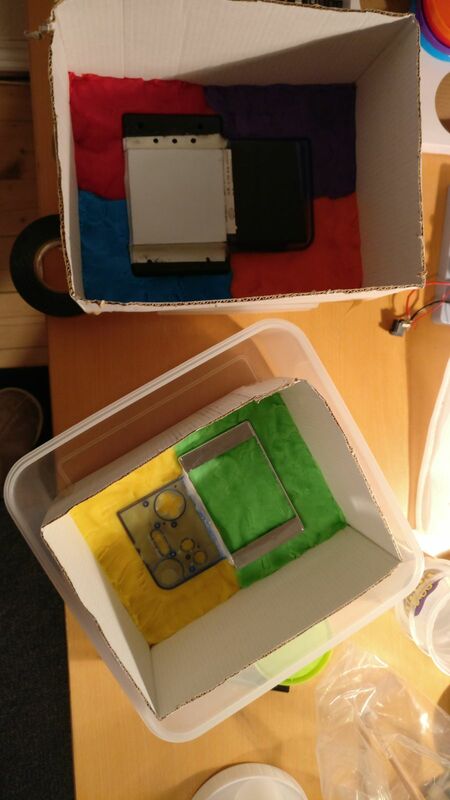 The initial idea was to buy cheap portable game systems from eBay, remove whatever was inside and replace with my own components. This approach would take less of my time and give the project a more “manufactured” look. 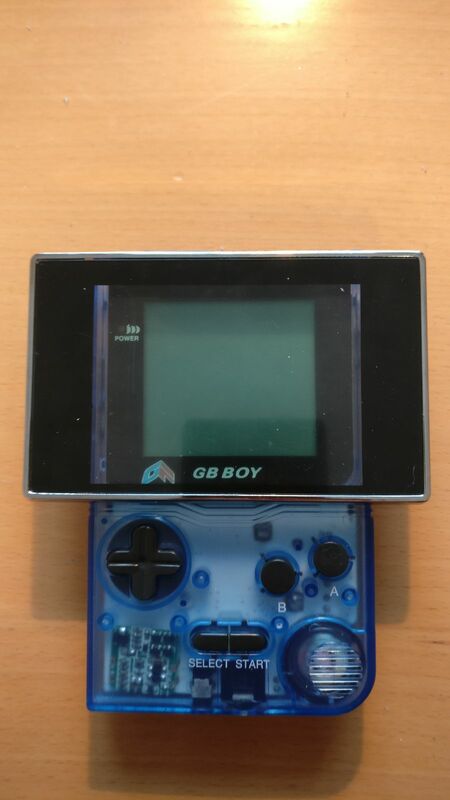 However, after buying both a replacement classic Gameboy enclosure and the PXP3, a PSP lookalike, from eBay I found to my annoyance the screen I have is too big to fit in either. 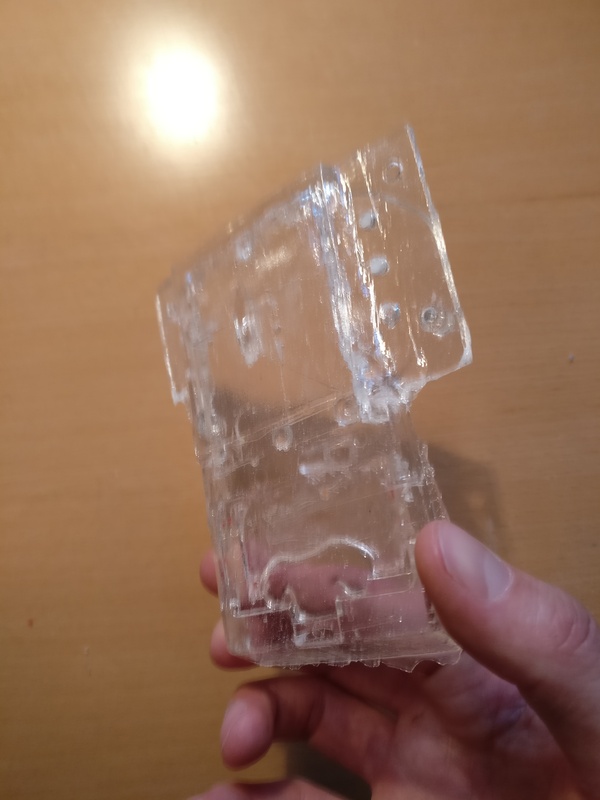 This left me with no choice but to try and build my own enclosure. 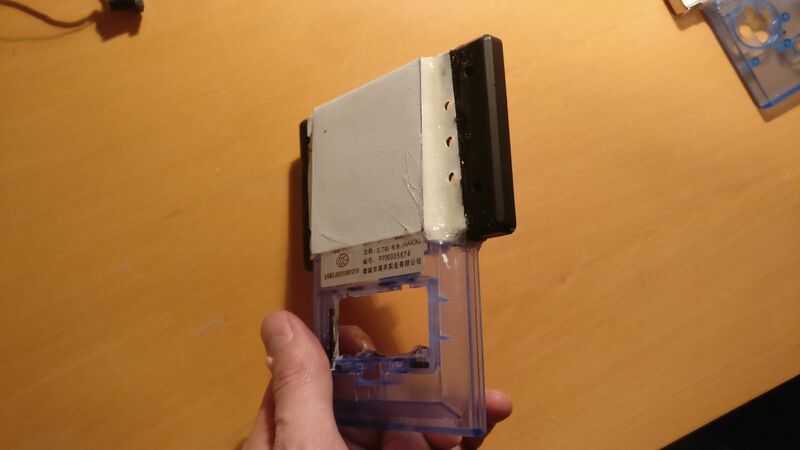 After coming across SC-3000 Survivors by chance I got the idea that I could cast my own enclosure. 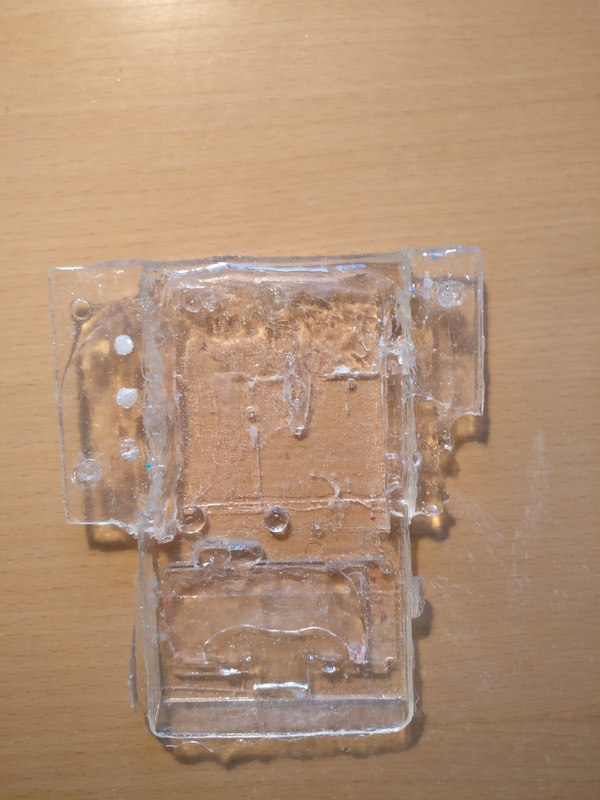 Doing this consisted of three parts, making a model, making a mould from the model and using the mould to make the cast. 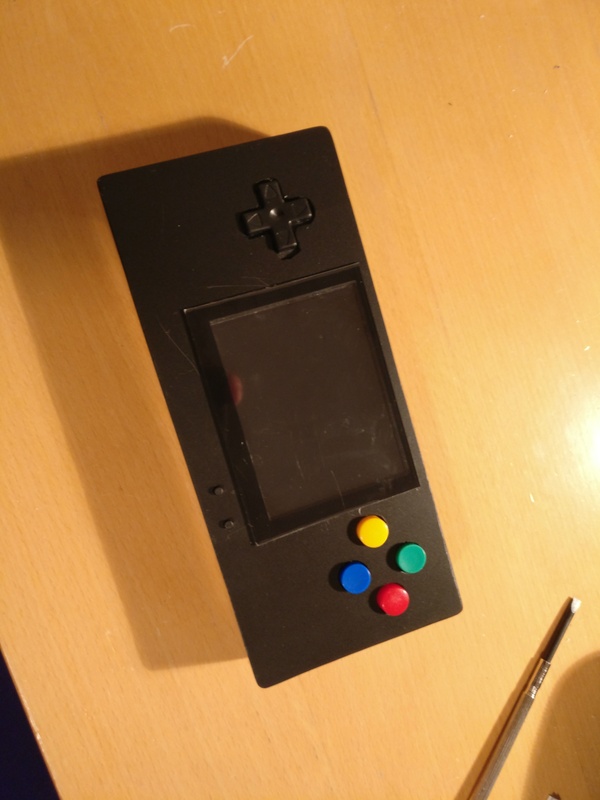 For the model I used the bottom part of the GameBoy and the enclosure that came with the screen. 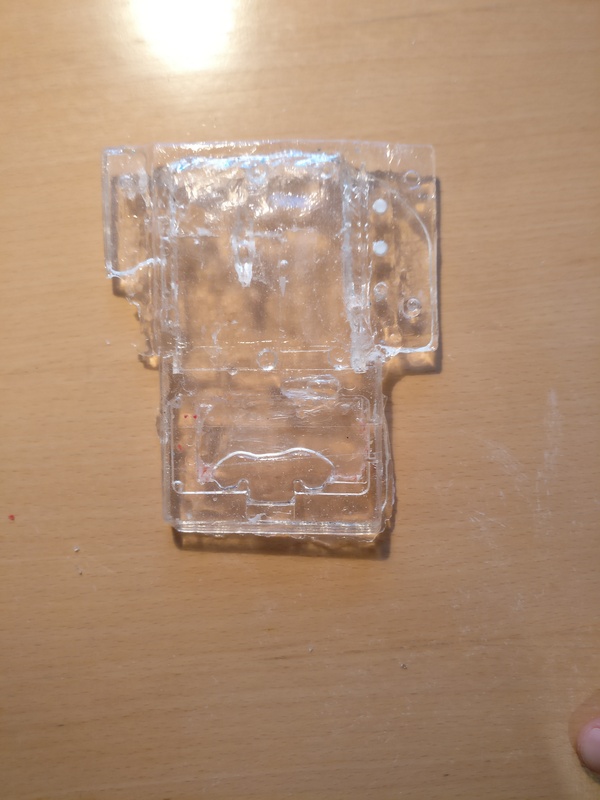 Some paper, tape and Blu-Tack putty were used to will in gaps and get the exact shape I wanted. 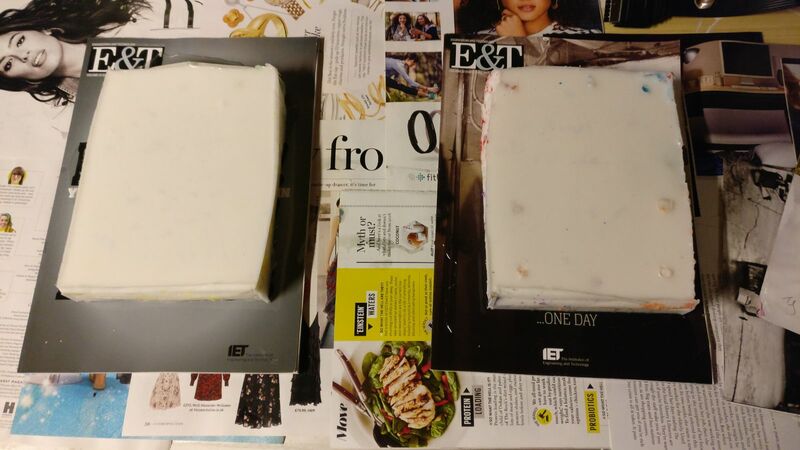 Next up moulds were made of the two part of the model, the top and bottom, using silicone rubber. 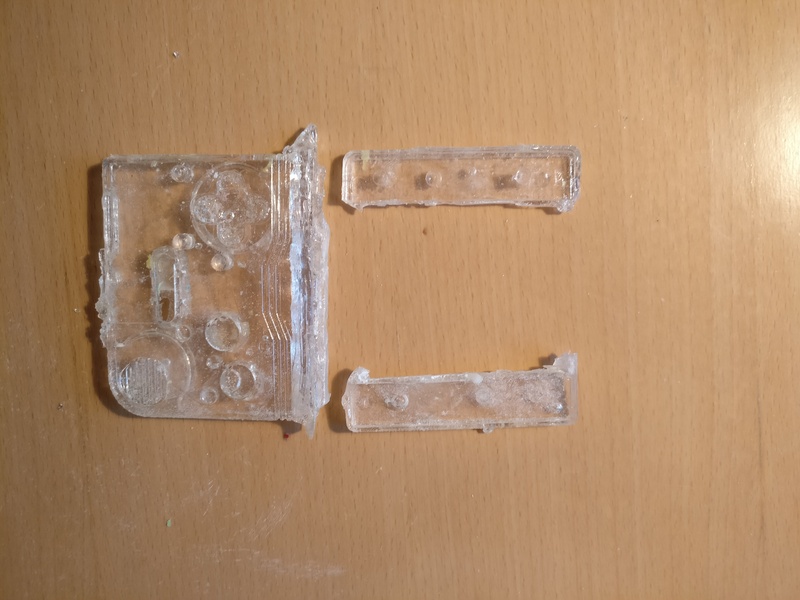 The same process used for making hobby moulds for things like gnomes etc can be used. Once the mould is ready the casts can be made. For this I used a glossy polyester plastic which when mixed with a hardener creates a solid cast. The hardening process of the polyester is exothermic and will release chemicals. It is strongly advised to complete this part of the process in a very well ventilated location. After the steps above I was left with casts that left much to be desired. As it was my first take at this both my mould and cast were imperfect. 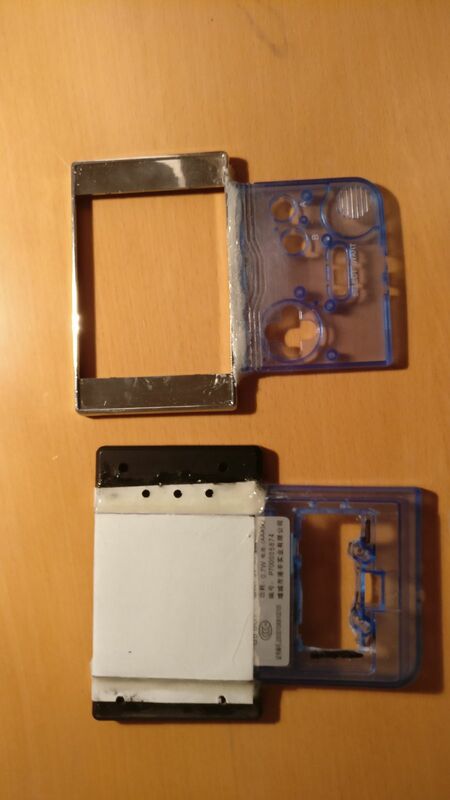 I also do not think the correct type of plastic was used. Not being satisfied with my results, and still being convinced the idea will work, but not wanting to try again I went with another approach. 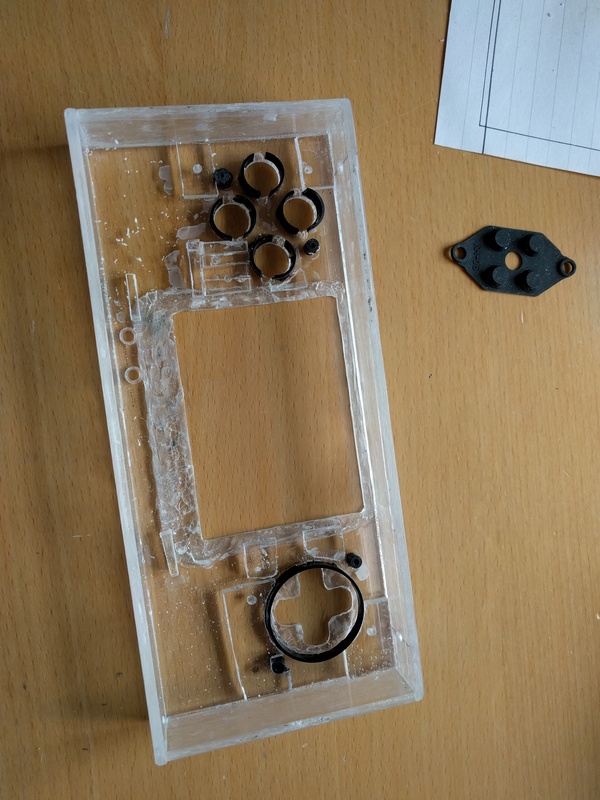 After the “failure” with the initial casts of the custom controller I decided to try another approach instead. 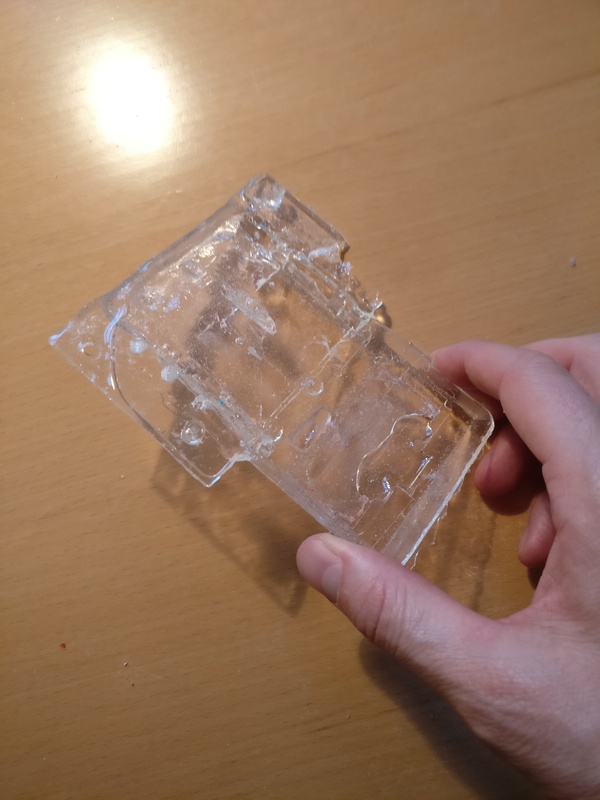 The decision was to make a square box from acrylic, also marketed as Perspex or Plexiglas, and keep it as simple as possible. 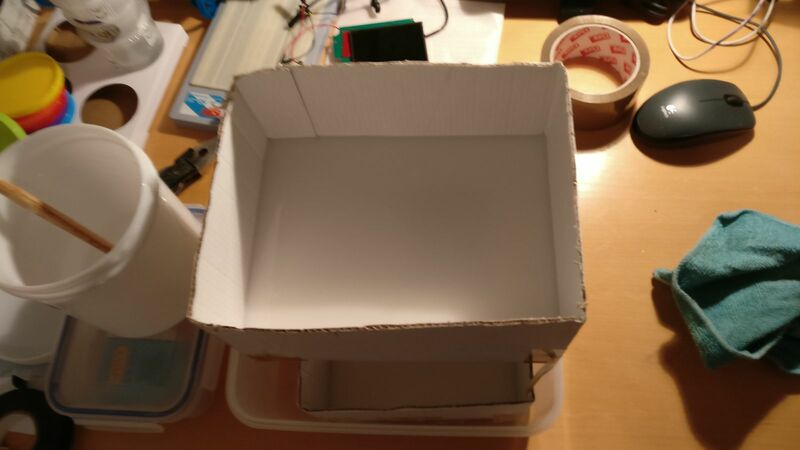 The first step was to create a mock-up from cardboard to test dimensions and tweak the position of the controls. 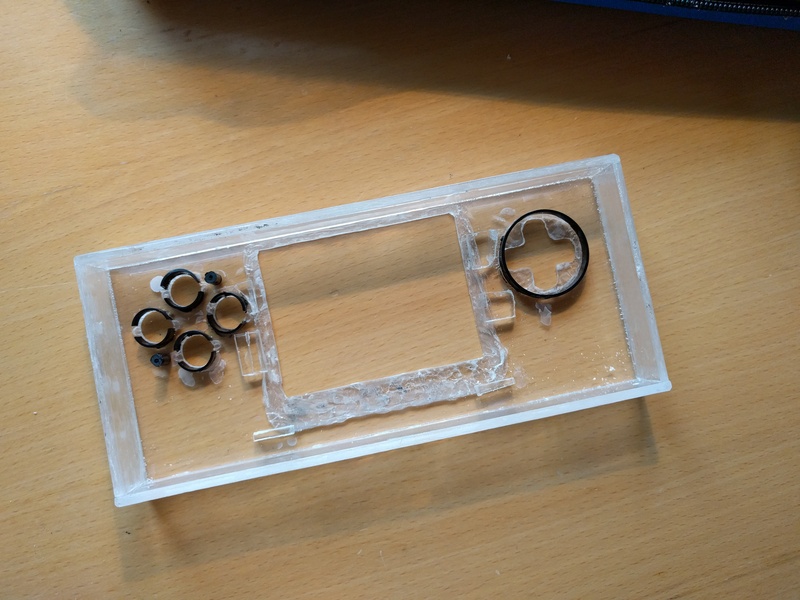 Having found a decent placement for all the intended components I proceeded to create the enclosure from a sheet of 3 mm acrylic bought from the local hardware store. I found working with acrylic to be easy and difficult at the same time. The lesson here was to make sure to have the correct tools for the job and to be very careful not to scratch the acrylic when using power tools. Because I was not careful I was left with a few marks on some of the surfaces and decided to paint most of them to hide my lack of skill. The back was left clear to provide a window into the enclosure. And here is the final result with all of the components attached. I have skipped a few steps for some of the components and will cover them in the next post. 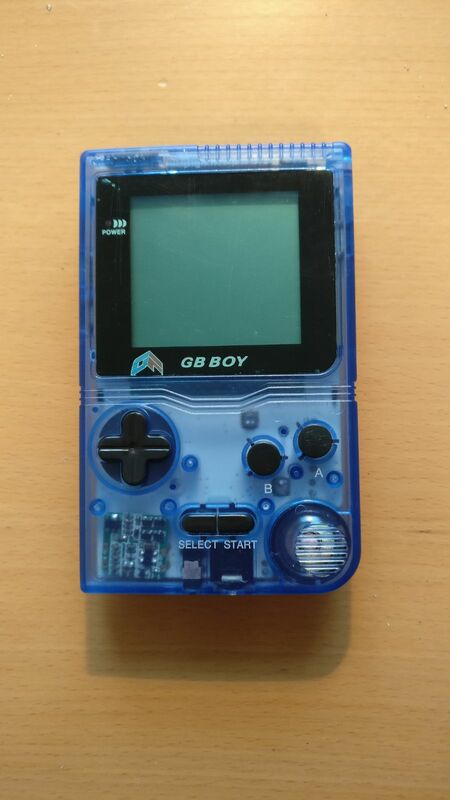 Next I will look at adding a controller and an electrical supply to the console.